NBA star Enes Kanter should be looking forward to coming to play basketball in London next week. Instead, he says he’ll be staying in the USA – for fear of assassination in the UK. The 26-year-old New York Knicks centre explained to Radio 1 Newsbeat why he’s cancelled his appearance at the O2 arena on 17 January. “The Turkish government is obsessed with me,” he said over the phone from his New York base. “I speak out against [President] Erdogan, and so I don’t feel safe. As things stand, Kanter’s Knicks team will go ahead and play their regular season game against the Washington Wizards without him. Their game in London is part of an NBA strategy to bring the sport to the world – but ironically it can’t bring one of the world’s best players. Kanter is an outspoken critic of the President of his native Turkey, Recep Tayyp Erdogan. The sportsman has referred to the politician as “the Hitler of our century”. “I’m not saying that Erdogan’s going to do an operation [against me] in London but it’s more there are lots of crazy supporters of his. “You can say that I’m paranoid but I don’t want to take the risk. “My team’s security said to me ‘If you go, you can’t leave your room or do any activities for the time you’re in London’. “I’m getting more death threats, hundreds in the last few days. But I won’t stop being outspoken I want the whole world to know what’s going on in Turkey. Kanter is caught up in a Turkish political conflict which has spread beyond his home country’s borders. 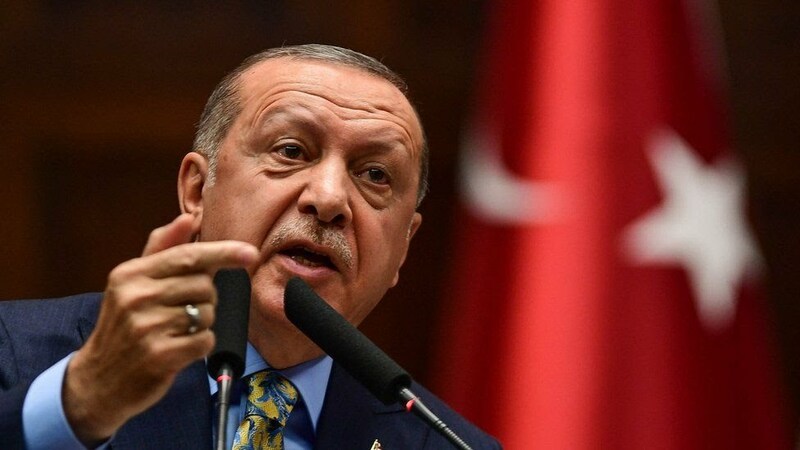 President Erdogan has accused Fethullah Gülen, a US-based Turkish cleric, of masterminding a failed 2016 military coup against him. Mr Gülen denies the charge. Kanter, who was educated at one of Mr Gülen’s network of schools in Turkey, has taken the cleric’s side. 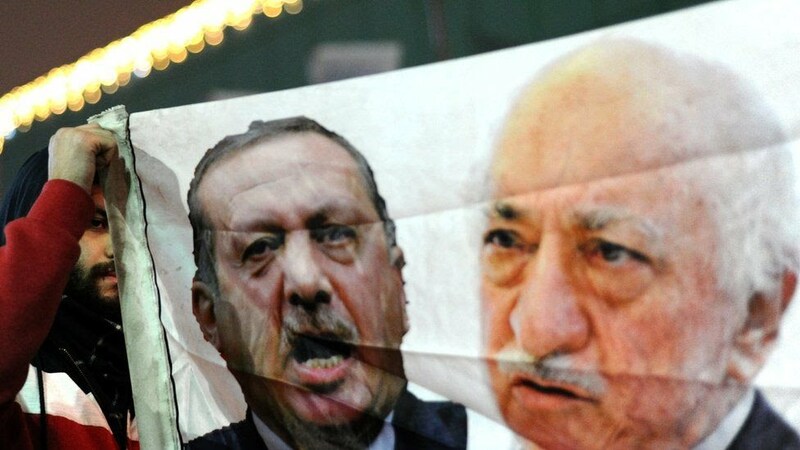 The basketball player regularly visits Mr Gülen at the cleric’s home in Pennsylvania. Kanter’s moves have come at personal cost. In 2017, the sportsman’s fatherMehmet was arrested in Turkeyand charged with membership of a terrorist group. Kanter suspects this was in order to put pressure on him. In 2017, the Turkish government cancelled Kanter’s passport,forcing him to cut short a planned trip to Romania and return to the US, where he is a permanent resident and due to get citizenship in two years. The New York Knicks say Kanter’s decision not to travel to London is based on visa issues, not security. “It’s not a visa issue. 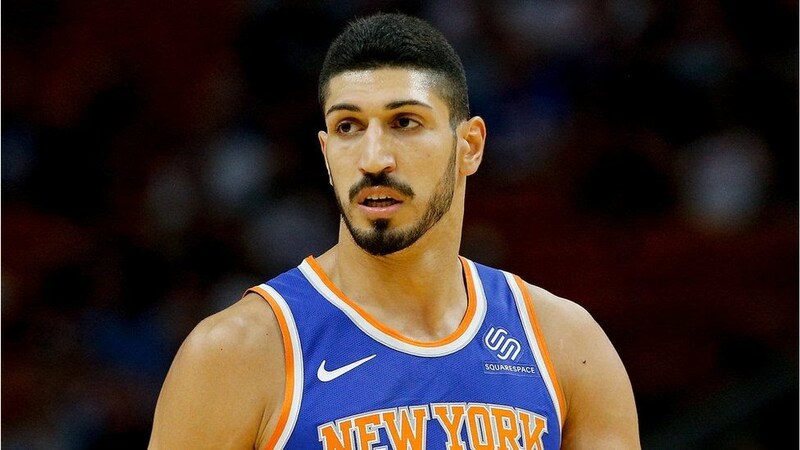 They [the Knicks] are not going to come out and say ‘Enes Kanter may get killed’ – they just want to say visa issues so there is no negative energy on my team mates. The Knicks haven’t respond to Kanter’s denials that this isn’t related to documentation. The UK’s Home Office says that it won’t comment on individual cases. But Kanter urges the authorities in the UK to make a clear promise to protect him. Follow Newsbeat on Instagram ,Facebook and Twitter . 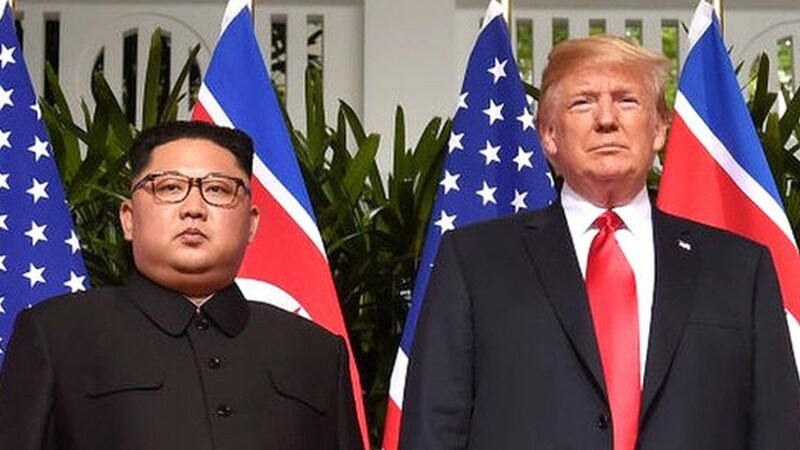 US President Donald Trump has said that a location for another summit with North Korea is being negotiated. Mr Trump told reporters in Washington DC that “a good dialogue” was taking place with North Korea, but sanctions on Pyongyang would remain in place. Mr Trump met North Korean leader Kim Jong-un last June, the first such meeting for a sitting US president. No tangible progress has been achieved so far on the main US goal: North Korea’s denuclearisation. President Trump said last week that he had received a “great letter” from Mr Kim, although he did not reveal its contents. 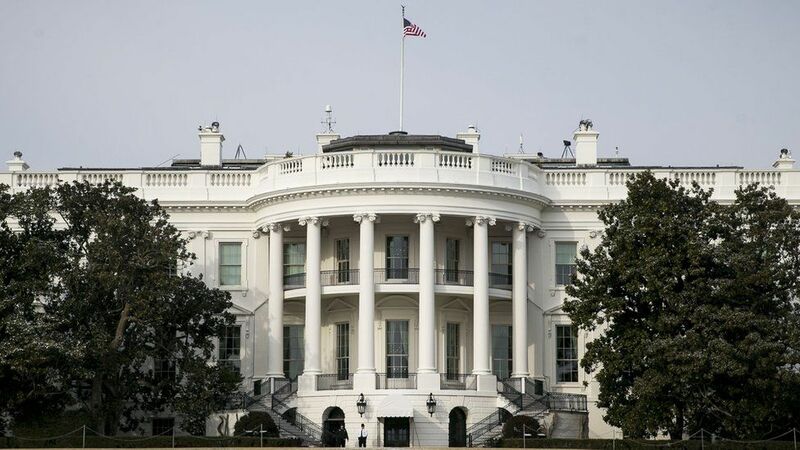 “We are negotiating a location,” he told reporters at the White House on Sunday. He said the US had “a very good dialogue” with North Korea, adding that he had “indirectly spoken” with Mr Kim. Mr Trump said US sanctions would remain “in full force and effect” until the US saw “very positive” results. 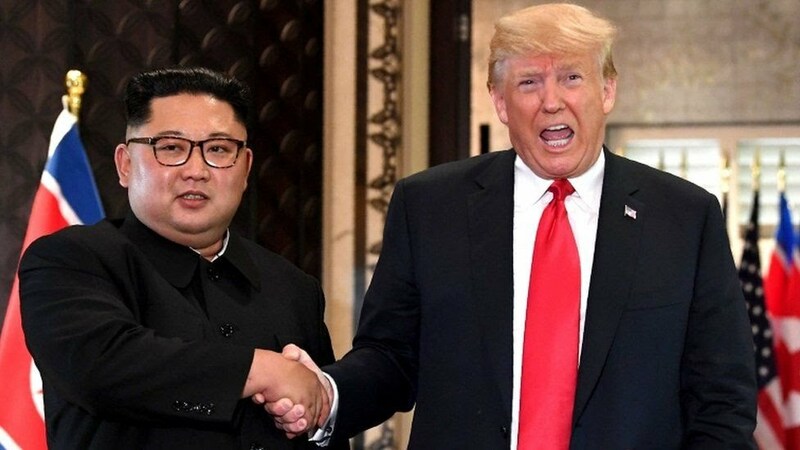 At the June summit in Singapore, the two leaders signed an agreement to work towards the denuclearisation of the peninsula. But it did not include a timeline, details or any mechanisms to verify the process. In a closely watched New Year’s Day address, Mr Kim said he was still committed to denuclearisation but warned that if the US did not lift sanctions he would consider taking a different path. The North reacted angrily last month when the US slapped fresh sanctions on three senior officials, after a report revealed a raft of human rights abuses. 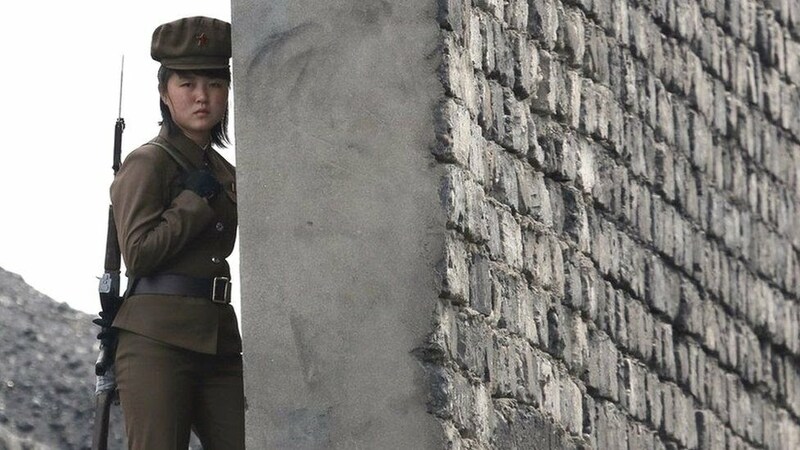 Pyongyang expressed “shock and indignation” at the new US measures, saying that the US policy of “maximum pressure” would be its “greatest miscalculation”. North Korea is also subject to various sets of United Nations Security Council sanctions related to its banned nuclear and ballistic missile weapons programmes. Premiership Rugby head Ian Ritchie has told the BBC it is “right and proper” to look into scrapping promotion from and relegation to the Championship. But he has rejected suggestions leading clubs are “at war” with governing body the Rugby Football Union (RFU) over the issue, or that changes are imminent. The Mail on Sunday says Premiership Rugby has threatened to form its own breakaway league if the RFU refuses to end promotion and relegation. Ritchie called that claim “ridiculous”. The Mail says it has seen board meeting minutes in which club chairmen discussed an “unregulated competition” should the RFU not support their plans. “You would expect all boards to discuss issues like Premiership promotion and relegation and we’ve been doing that for some time,” Ritchie told BBC Radio 5 live’s Sportsweek on Sunday. “But to be clear as well, we’ve got an eight-year agreement with the RFU. The former RFU chief executive added: “What we need to do is consider this further and it’s a bit precipitous to say there’s a rift between us. “We work closely in partnership and I believe that’s what we’ll continue to do. Many promoted clubs have struggled to bridge the gulf between the Championship and Premiership – the 131-year-old club London Welsh lost all 22 games in 2015 and folded the following year. Last season, London Irish were relegated for the second time in three years but they are top of the Championship after 10 games. “We all have views over the years of promotion and relegation, what happened with teams going up or down. But the uncertainty of that and how it works – we need to consider all these matters further,” Ritchie said. On scrapping relegation and promotion, he explained: “There are plenty of models around the world were where it works, the NFL being a classic example. How does it work with the economics of the game? How does it work with the sporting aspects? He also said the clubs were looking at overseas games as a means of expanding the Premiership’s appeal – matches have already taken place in the United States in previous seasons. “Obviously we want to expand the Premiership internationally. There have been gains in the USA and we’ve been looking very closely at that market. You wouldn’t rule out looking at other countries as well,” Ritchie said. In football we’ve talked about Premier League Two, but it’s never happened. There has always been very strong Championship, particularly this season. Everyone fighting to climb up into the Premier League.You have to have that promised land factor. You cannot pull up the drawbridge – which seems to be at the essence of this – and you cannot be completely driven by economics because if it’s completely driven by economics, people will eventually walk away. The latest round of anti-government protests across France at the weekend degenerated in Paris into violent clashes between protesters and the security forces, prompting the beleaguered President Emmanuel Macron to condemn “extreme violence”. For the eighth Saturday in a row, “gilets jaunes” demonstrators — sporting the yellow reflective jackets that French motorists are obliged to carry in their cars — massed in cities around the country to protest against the cost of living and to call for Mr Macron’s resignation, underlining the challenge to the once-popular president’s authority after more than two months of disruption. A march of an estimated 4,000 people from the Paris town hall to the national assembly began peacefully, but ended in violence and failed to reach its destination when some of the demonstrators — including a man identified by police as a former professional boxer — attacked a group of gendarmes in riot gear blocking a pedestrian bridge across the River Seine. A riverboat restaurant was set on fire. The “gilets jaunes” protests were triggered by motorists’ anger over fuel prices that have risen as a result of green taxes introduced by the Macron government to reduce emissions, but the movement has since developed into an inchoate series of anti-government and anti-establishment demonstrations. 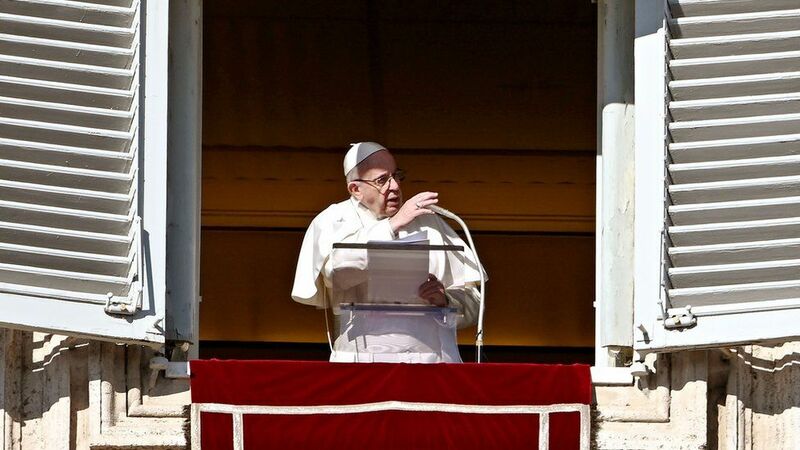 Mr Macron’s U-turn on the taxes and the promise of €10bn of extra government spending to help the poor have not mollified the hardline protesters who continue to take to the streets on Saturdays. Those marching in Paris on Saturday were critical of Mr Macron, a former Rothschild banker, who is seen as a “president of the rich” and has so far failed to convince the majority of the benefits of his economic reforms. But few demonstrators were supportive of any other established French politicians either. The last time she had taken part in such street protests, Ms Noël said, was back in 1968, when civil unrest exploded across France and threatened the administration of Charles de Gaulle. 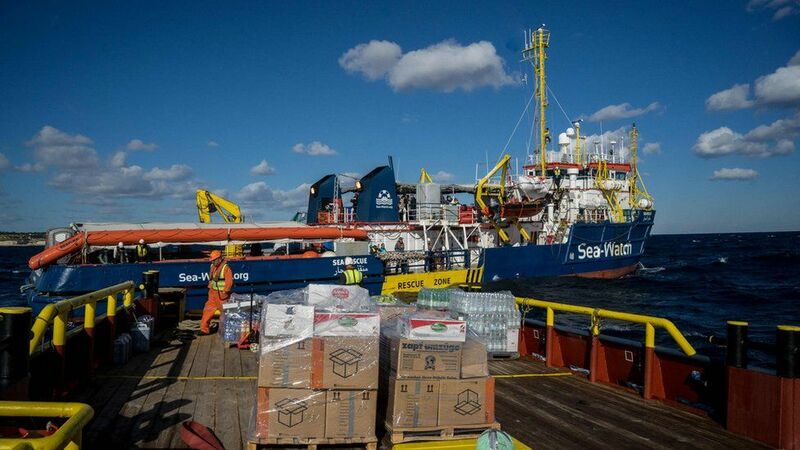 Italy has refused private humanitarian ships to dock in the past, including the Doctors Without Borders vessel Aquarius . 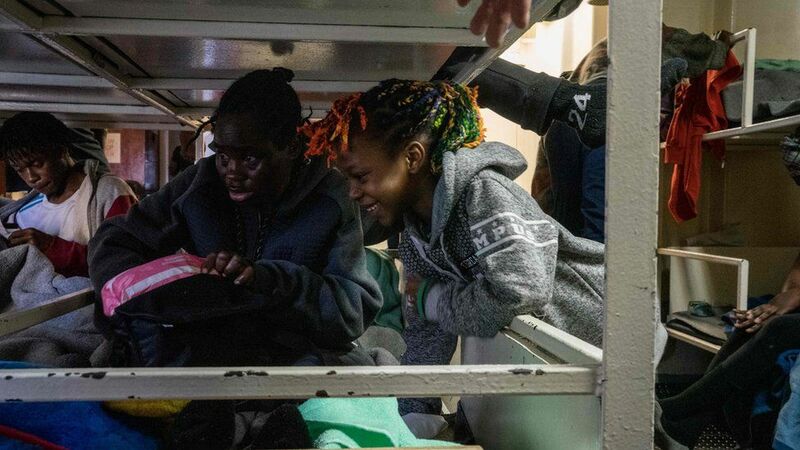 Asylum-seekers + refugees are more likely to resort to dangerous sea crossings when legal routes to protection is limited. 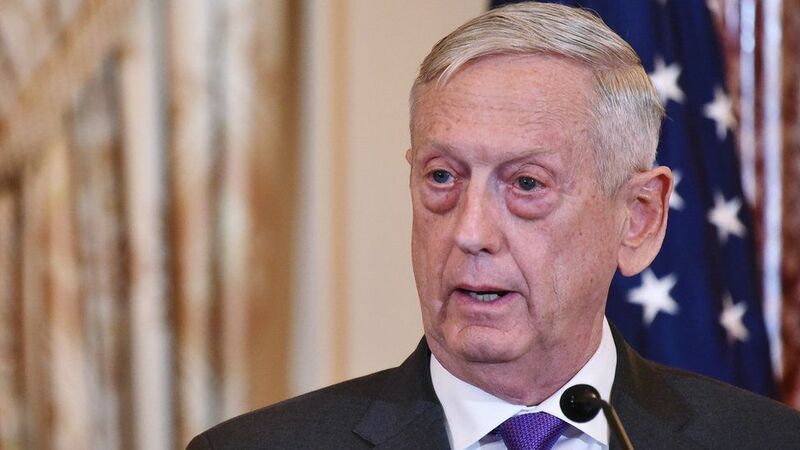 Department of Defence chief of staff Kevin Sweeney has resigned, a month after the Defence Secretary James Mattis announced his departure. Rear Admiral Sweeney said in a statement that “the time is right to return to the private sector”. He is now the third senior Pentagon official to announce his resignation after President Donald Trump said US forces would leave Syria. Officials have said there is no timetable for the troop departure. Rear Adm Sweeney held his post for two years from January 2017, and called it “an honour to serve” alongside his colleagues in the department. 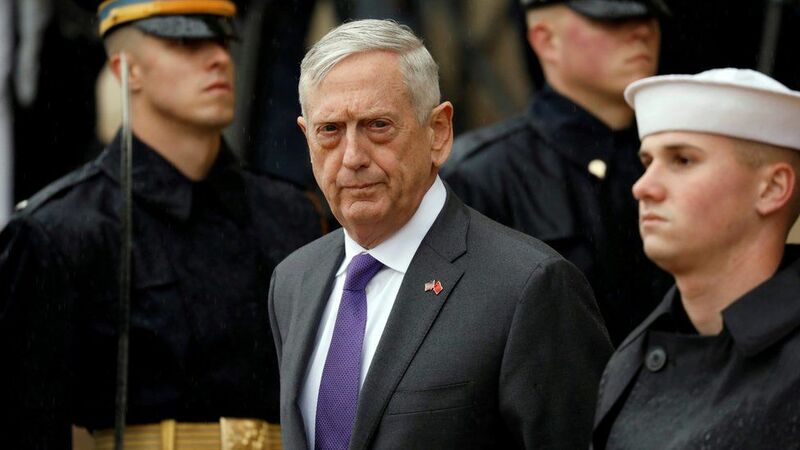 His announcement comes days after General Mattis quit his post early, after initially planning to stay in his role until February. The former defence secretary hinted at policy differences with President Trump in his resignation letter. Addressed to Mr Trump directly, the letter described the general’s views on “treating allies with respect” and using “all the tools of American power to provide for the common defence”. “Because you have the right to have a secretary of defence whose views are better aligned with yours on these and other subjects, I believe it is right for me to step down from my position,” he wrote. Department spokeswoman Dana White also left her post after the president’s surprise announcement on Syria. In a terse resignation letter, Kevin Sweeney said it had been an honour to serve, but made no mention of Donald Trump. 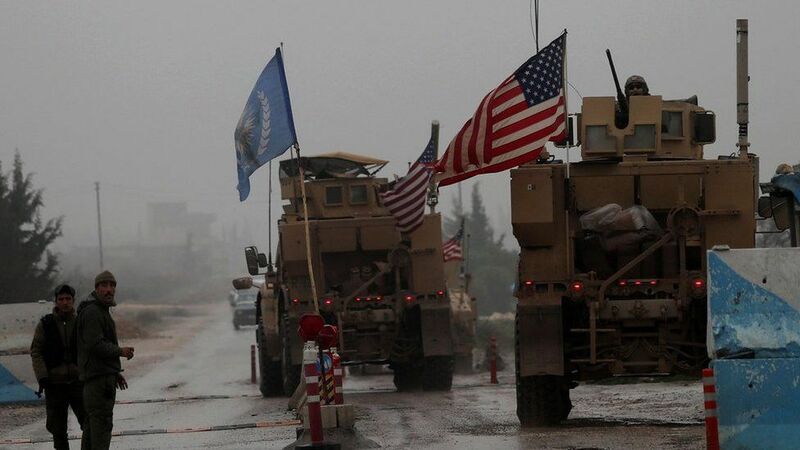 His departure adds to a sense of uncertainty surrounding the Trump administration’s defence and foreign policies since the surprise announcement of the planned withdrawal from Syria. On Tuesday, Secretary of State Mike Pompeo will embark on a week-long tour of the Middle East designed to reassure allies in the region. The next stage of the universal credit rollout appears to have been delayed amid concerns about the controversial new benefits system. 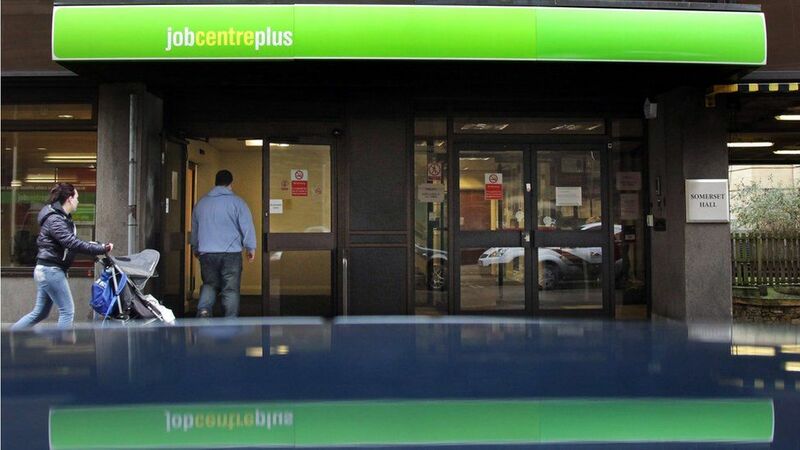 MPs were due to vote on whether to move three million benefit claimants onto universal credit in the next few weeks. But this vote has been pushed back and Parliament will instead be asked to vote on transferring just 10,000 people to the new benefits system. Ministers say all claimants will be on universal credit by 2023 as planned. 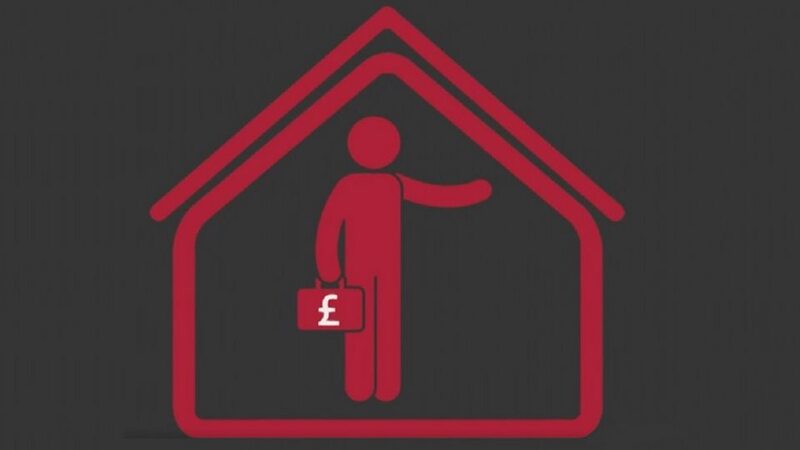 Universal credit is the UK’s welfare reform and is being phased in across the UK. It combines six different benefits into one monthly payment. Supporters of the reform say it helps simplify the current benefits system, which is complicated. But the rollout has run over budget, is years behind schedule and has been criticised for makingan estimated 3.2 million households worse off. Some people already claiming universal credit say it has forced them into destitution and in some cases prostitution. Others say they have been left to rely on foodbanks. More than one million people are currently in receipt of universal credit – either new claimants for benefits or those who have had a change in circumstances, perhaps by moving house. The government’s plan is for almost seven million people to be on universal credit by 2023. In the next few weeks, ministers were due to seek Parliamentary approval to move three million existing welfare claimants onto the new benefit. 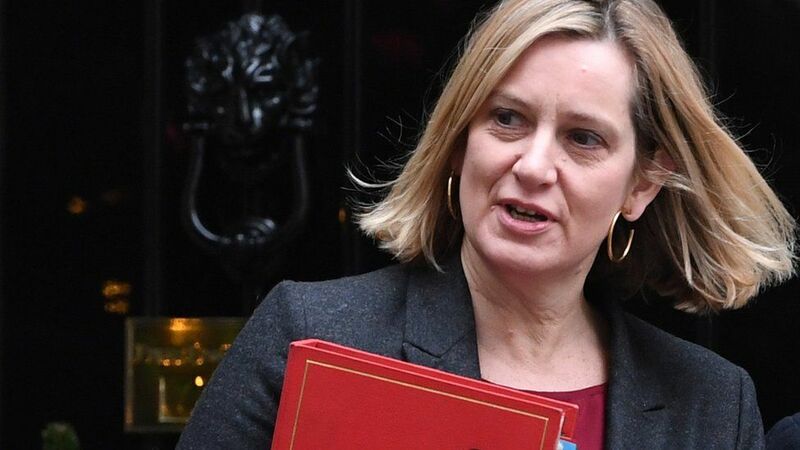 But now Work and Pensions Secretary Amber Rudd will seek approval for just 10,000 people to be moved onto universal credit in the summer. That process will then be assessed and further Parliamentary approval sought before every other existing welfare claimant is moved. A source close to Ms Rudd said the pause was the right thing to do, and should reassure Parliament that she was listening to MPs’ concerns. What’s the problem with universal credit? The news that the government was pushing back the vote was first reported in the Observer on Sunday which quoted a Whitehall source as saying Ms Rudd wants a “fresh Parliamentary mandate” for the reform. Ms Rudd, speaking when she was first given the job of work and pensions secretary in November last year, said she would listen “very carefully” to concerns over universal credit and admitted the system “can be better”. She added that she would “learn from errors” and “adjust” the system, which she said had problems, where needed. The government has agreed on several occasions to slow the pace at which universal credit is extended across the UK. Ms Rudd’s predecessor, Esther McVey, announced that claimants will be given more time to switch to the new benefit and they would not have to wait as long for their money. And in the 2018 Autumn Budget last month, Chancellor Philip Hammond pledged an extra £1bn over five years to help those moving to the new payments and a £1,000 increase in the amount people can earn before losing benefits, at a cost of up to £1.7bn a year. Universal credit is a benefit for working-age people. It was designed to make claiming benefits simpler. A single universal credit payment is paid directly into claimants’ bank accounts to cover the benefits for which they are eligible. 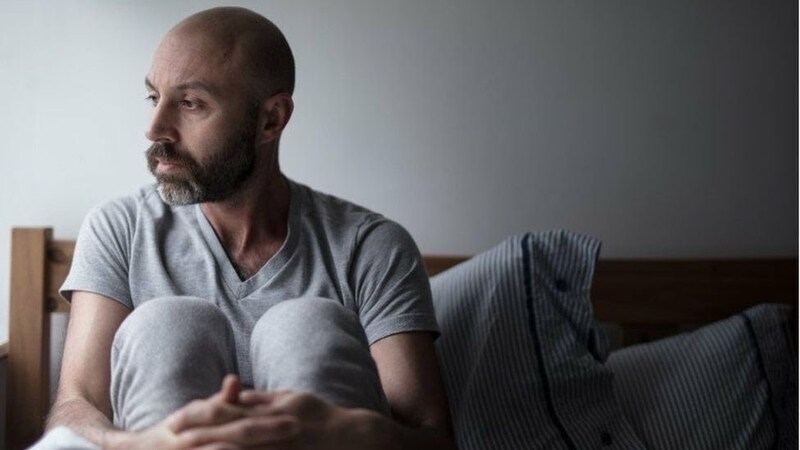 Claimants then have to pay costs such as rent out of their universal credit payment (though there is a provision for people who are in rent arrears or have difficulty managing their money to have their rent paid directly to their landlord). The latest available figures show that there were 1.4 million universal credit claimants in November. Read more: What is universal credit? Prime Minister Theresa May is promising patients access to “world class” care under a 10-year plan for the NHS. She said the publication of the plan on Monday would mark a “historic” moment for the health service in England. Pledges on maternity care, mental health, elderly support and earlier detection and prevention of diseases will be included in the plan. She said that, coupled with the extra money announced last summer , the future of the NHS was secure. The budget is due to rise by £20bn a year above inflation by 2023. If you can’t see the NHS Tracker,click or tap here . 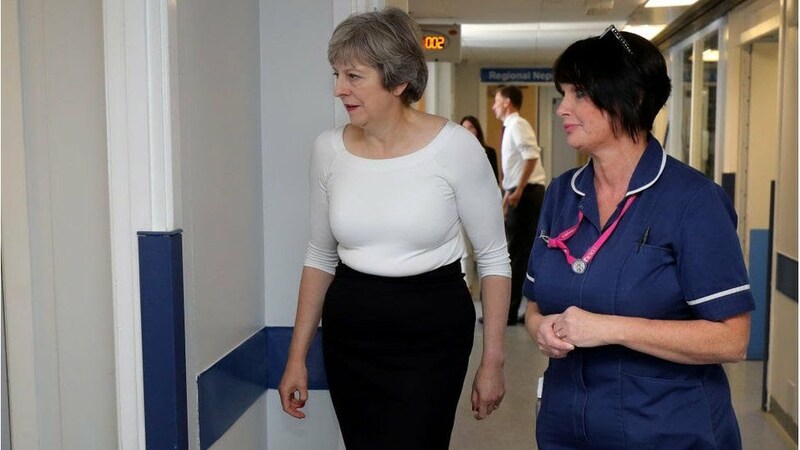 A day before the publication of the 10-year plan, the prime minister said: “The NHS has always been the country’s most beloved public service – there to provide outstanding care to us all whenever it is needed. “The plan marks a historic step to secure its future and offers a vision of the service for the next 10 years with a focus on ensuring that every pound is spent in a way that will most benefit patients. As healthcare policy is politically devolved, the plan only applies to the NHS in England but she said the other UK nations will be drawing up their own plans. Under the government’s funding system they are getting an extra £4bn between them by 2023. The full details are not being unveiled until Monday when it will be released by NHS England. Why is it being published now? The plan was promised during the summer when the government unveiled its funding settlement for the NHS. That set out the budget for the next five years and means by 2023 funding for the NHS will be £20bn a year more than it is now, once inflation is taken into account. That is the equivalent of annual “real terms” rises of close to 3.5% – about twice what the NHS has got since 2010. 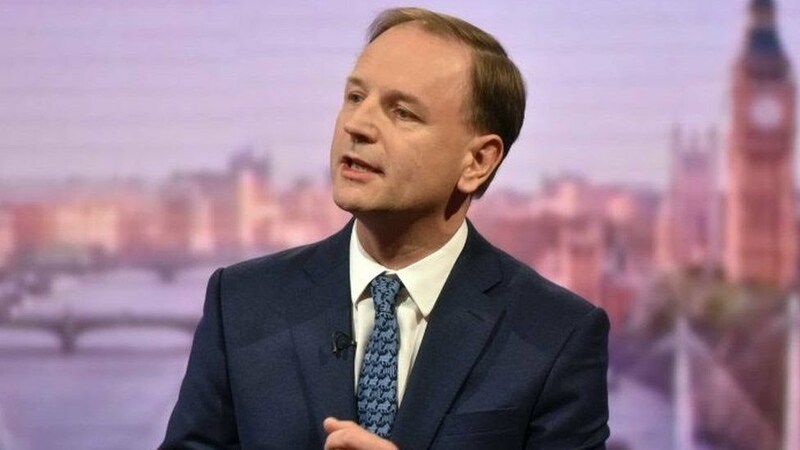 At the time, the prime minister said she wanted to ensure the money was used wisely and so asked NHS England boss Simon Stevens to draw up a long-term plan for the next decade. It was expected to be published in the autumn, but was delayed because of the government’s troubles getting its Brexit plans agreed. The last time such a long-term vision was set out was in 2000 under Tony Blair. Understandably people want to see the full details before coming to firm conclusions. But the priority areas are being welcomed. Andy Bell, of the Centre for Mental Health, said the initiatives on mental health were much needed. Dame Donna Kinnair, of the Royal College of Nursing, said nurses shared the ambitions being set out. But she added the government needed to “urgently address” the staffing shortages if it was going to succeed. And Jennifer Dixon, chief executive of the Health Foundation think-tank, predicted fulfilling the pledges would be “extremely tough” because of the scale of staffing shortages, rising pressures and cuts to other parts of the wider health and care system. The £20bn promise just relates to the front-line NHS budget and so does not cover other elements such as social care and public health – at the end of last year it was announced the budget for these services, which includes smoking cessation and weight management, was being cut by over 4% in real terms next year. What are we not being told? There has been a fair bit of tension behind the scenes. The Treasury is understood to have wanted to tie the NHS down in terms of what it will achieve. One of the central bones of contention is thought to be how the NHS can tackle deficits and waiting times. Hospitals are struggling to balance their books and have seen a deterioration in the time patients wait in A&E, for cancer and for routine operations. None of the three key targets are currently being met. It looks like a trajectory for improvement will be published at a later date with NHS bosses known to have been wary about promising things they felt they could not deliver. Another missing piece is the green paper on social care. This was first promised in 2017, but has been delayed on a number of occasions. Brexit has certainly been a factor, but again there has been disagreements in private, this time over how radical the plan should be given the problems facing the sector, which covers care homes and home help. The government has promised the green paper will be published as soon as possible. Local female lawyers suggest the measure will end what are known as secret divorces – cases where men end a marriage without telling their wives. 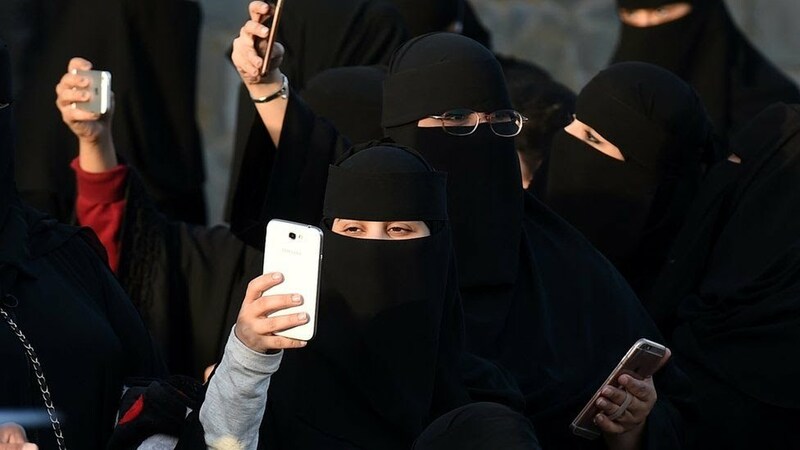 Last year, a decades-old driving ban on women was lifted in Saudi Arabia . 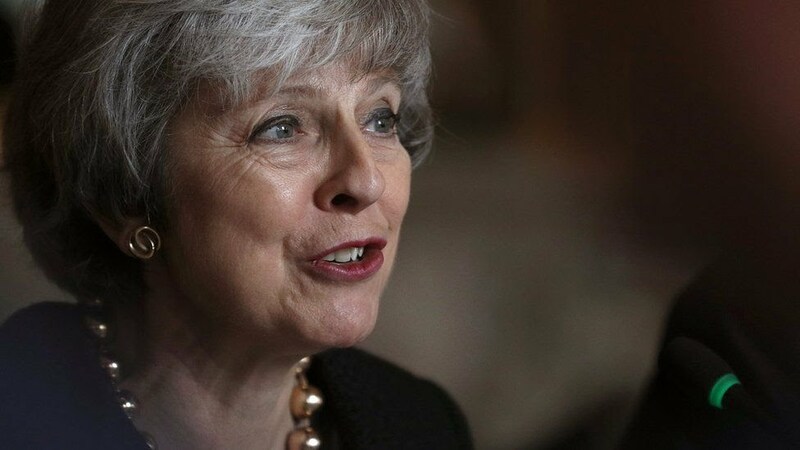 The prime minister has urged MPs to back her Brexit deal, saying it is the only way to honour the referendum result and protect the economy. Writing in the Mail on Sunday,Theresa May said her critics – both Remainers and Brexiteers – risk damaging democracy if they oppose her plan. But a poll carried out for the People’s Vote campaign suggests fewer than one in four voters support her Brexit deal. 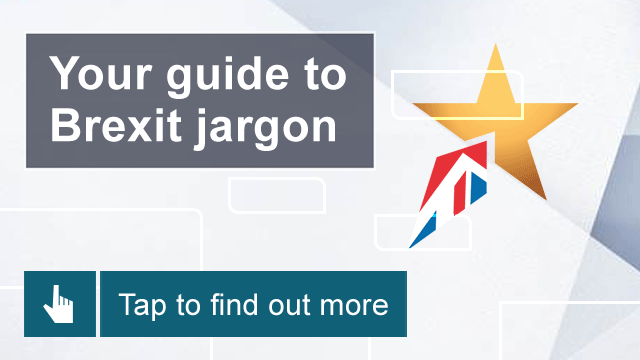 The UK is due to leave the EU on 29 March 2019 – regardless of whether there is a deal with the EU or not. A deal on the terms of the UK’s divorce and the framework of future relations has been agreed between the prime minister and the EU – but it needs to pass a vote by MPs in Parliament before it is accepted. The House of Commons vote had been scheduled to take place in December but Mrs May called it off after it became clear that not enough MPs would vote for her deal. The debate on the deal will restart on Wednesday, with the crucial vote now expected to take place on 15 January. Can Theresa May unblock her Brexit deal? Could Channel Ports cope with no deal? She said “no one else has an alternative plan” that delivers on the EU referendum result, protects jobs and provides certainty to businesses. “There are some in Parliament who, despite voting in favour of holding the referendum, voting in favour of triggering Article 50 and standing on manifestos committed to delivering Brexit, now want to stop us leaving by holding another referendum,” she said. 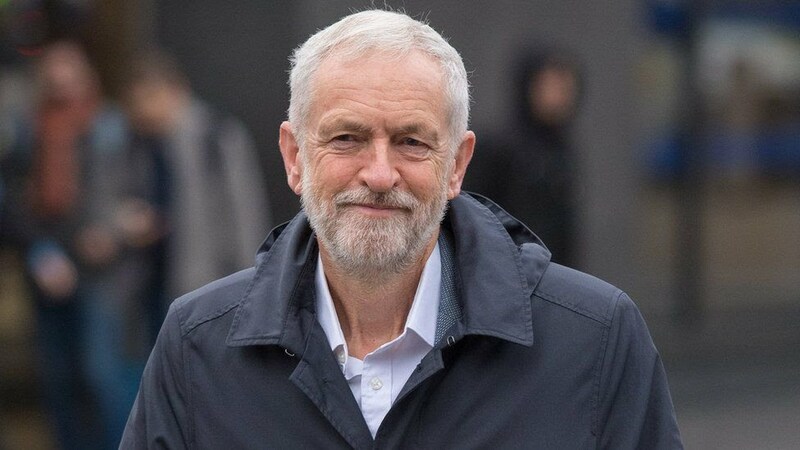 Meanwhile, a poll of more than 25,000 Britons suggests Labour would be punished by voters if the party either ends up backing the government’s deal or does not actively oppose it. The YouGov poll, carried out for the People’s Vote campaign which is demanding another referendum, suggests 75% of Labour supporters would prefer a final say on Brexit. Mr Corbyn has previously said the decision to leave the EU cannot be reversed. In his new year message, Mr Corbyn said Labour, if it was in power, would seek to reopen negotiations with Brussels to pursue a better outcome. Mrs May now has less than a fortnight to persuade Parliament to back her deal. Some Conservative MPs believe the deal does not represent the Brexit the country voted for in 2016 – with some happy for the UK to leave the EU with no deal. Other MPs are pushing for a second referendum, while opposition parties including Labour plan to vote against her deal. Labour wants to force a general election by calling a vote of no confidence in the government if the deal is rejected by MPs. Mrs May has been seeking further assurances from EU leaders about more controversial aspects of the agreement such as the Irish border “backstop”, which is designed to prevent physical customs checks on the island of Ireland. The Democratic Unionist Party – whose support the Conservative Party relies on for a majority in the House of Commons – wants to make sure the backstop is temporary and that the UK, including Northern Ireland, can exit from it without EU approval. Earlier this week, a leading figure in the party said there is “no way” it would back the deal.